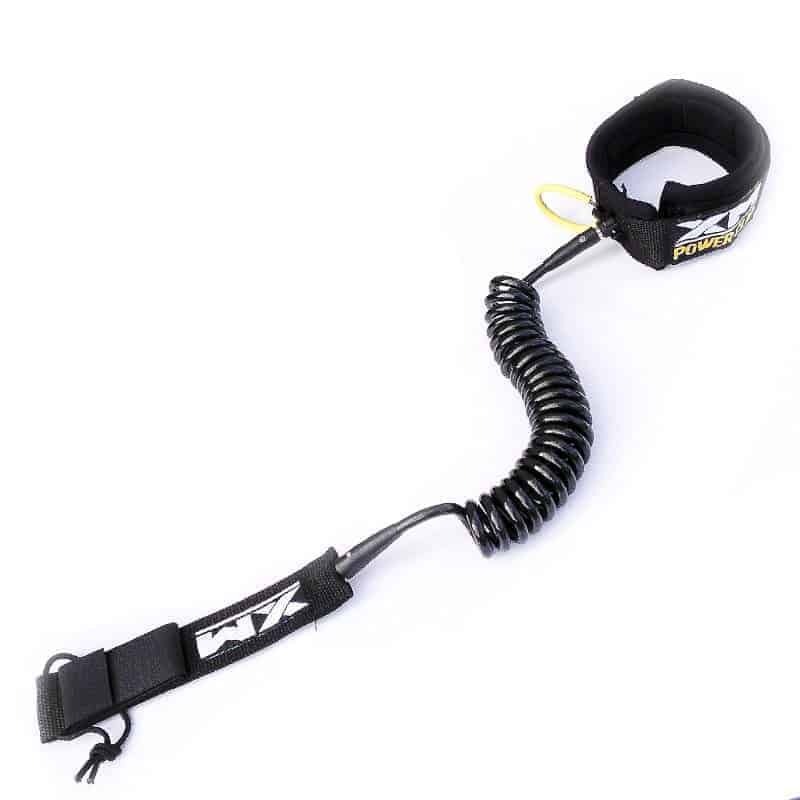 XM Power Clip Coil leash – SUP, Windsurfing UK. 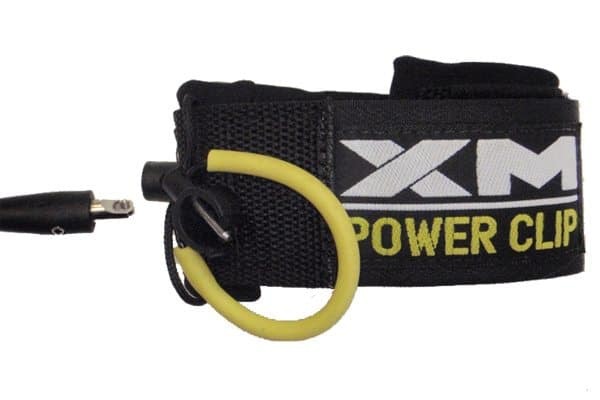 The XM Power Clip Coil leash is a great leash for flatwater and race paddleboarders. The quick release system called the EZ-Grip yellow ring makes this leash one of the safest out there for sup surfers and surfers alike. With a really comfortable leg strap this leash fits comfortably with or without a wetsuit on.I say this because a friend recently let me try their board and their leash was so uncomfortable. The XM Coil leash comes in 2 sizes, 10ft- 12ft. Each one is built using the patented methods employed by XM so no matter what one you buy you are really getting a leash that will last a lifetime.